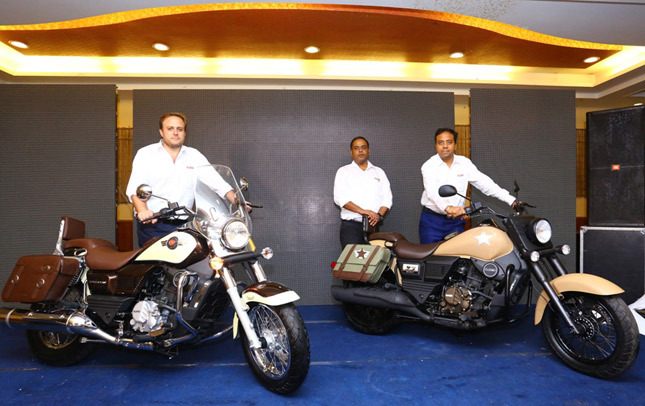 UM Lohia Two wheelers, which is Indian subsidiary of American motorcycle manufacturer, UM International LLC in association with Lohia Auto, India have launched- ‘Renegade Commando Mojave’ and ‘Renegade Commando Classic’. 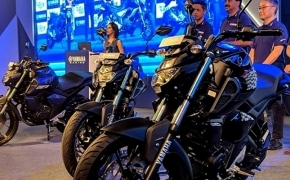 Both motorcycles are featured with liquid cooled, single cylinder, 4- stroke engine with 4- valve setup. The new UM Renegade Commando Classic grabbed quite a eyeballs when showcased for the first time at 2016 Delhi auto Expo. The cruiser styled Renegade Commando Classic looks highly inspired by Harley Davidson and clearly justifies its American lineage. 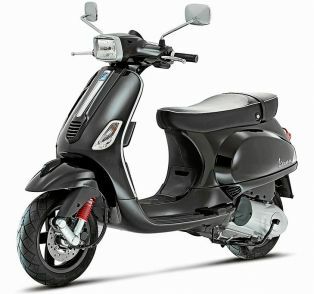 The new UM cruiser is equipped with fuel injected 279.5cc liquid cooled single cylinder engine. The mill is capable of producing 25.1 Ps of Power at 8500 Rpm and 23 Nm of torque at 7000 Rpm. 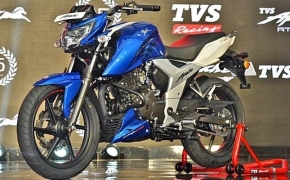 The bike’s motor is mated to a six speed transmission gearbox with an overdrive for better cruising. The Renegade Classic is loaded with lots of Chrome and it comes with dual tone high gloss metallic paint. To complement its cruiser style and touring capabilities the new Renegade Commando Classic comes featured with premium Saddlebags, Classic Tank Cover, alloy backrest, engine guard and high polycarbonate windshield. 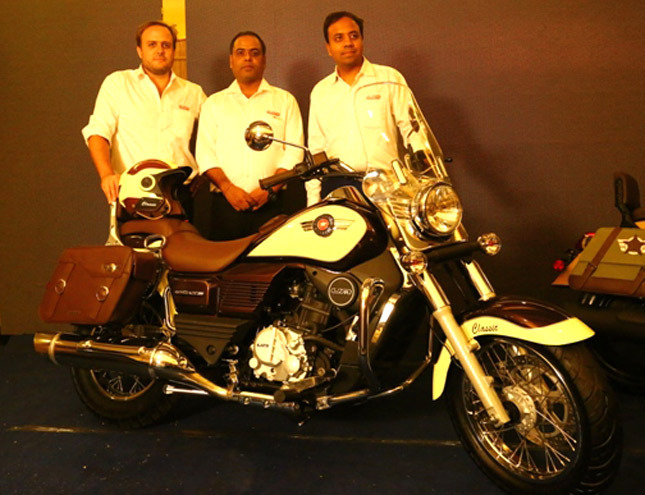 There is a latent demand for such bikes with varied customer needs emerging in India. The customers are aware, ready to experiment and follow their gut. With the launch of Renegade Commando Classic and Mojave, we are looking forward to attract young leaders. We are committed in setting a new benchmark in providing excellence not only in our products but also in service experience. 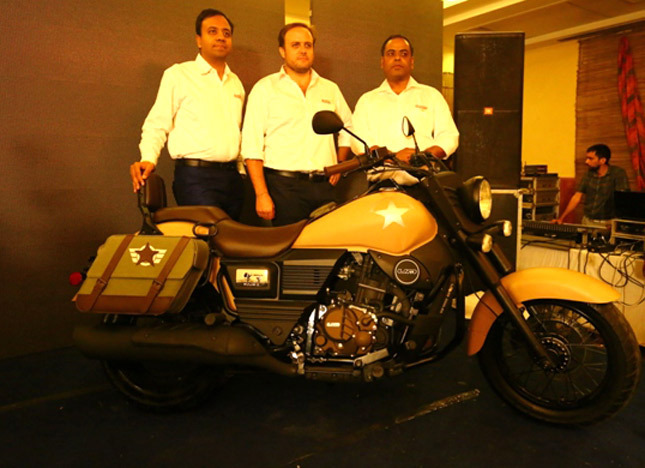 Renegade Commando Classic and Renegade Commando Mojave will surely capture up-country customers with a progressive mindset. UM Motorcycles also introduced the Renegade Commando Mojave; inspired by the North American Mojave desert the bike is equipped with same engine as the Commando Classic but with different color and style. The Renegade Commando Mojave comes featured with desert matte color, cell phone pad mounted on fuel tank and Mojave Desert logo. The new UM Renegade Commando Classic and Mojave are available at a price tag of Rs 1.89 and 1.80 Lakhs (Ex, Showroom) respectively.